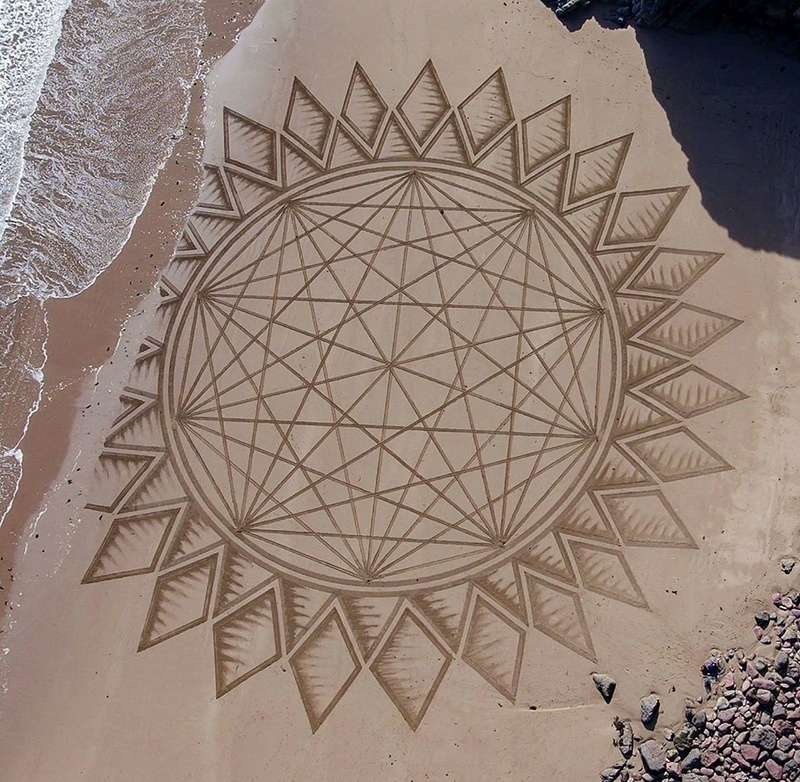 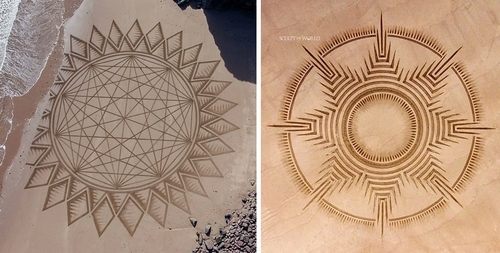 Massive and precise, drawings created using the beaches as a canvas and and as paint. 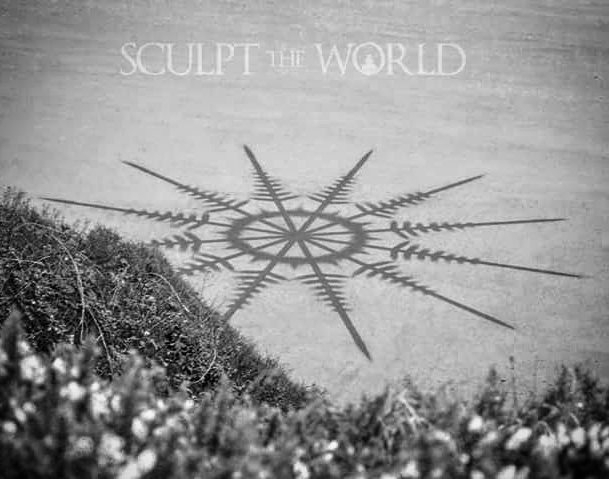 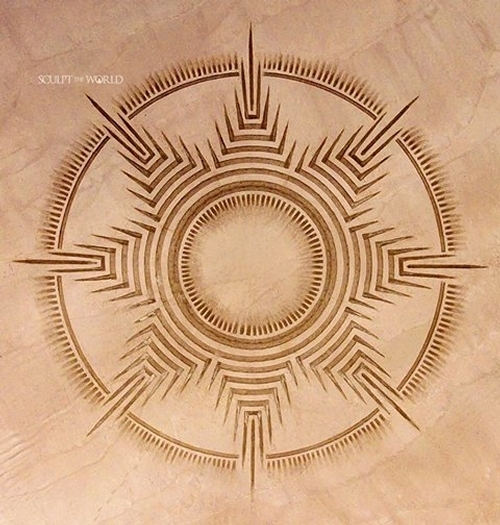 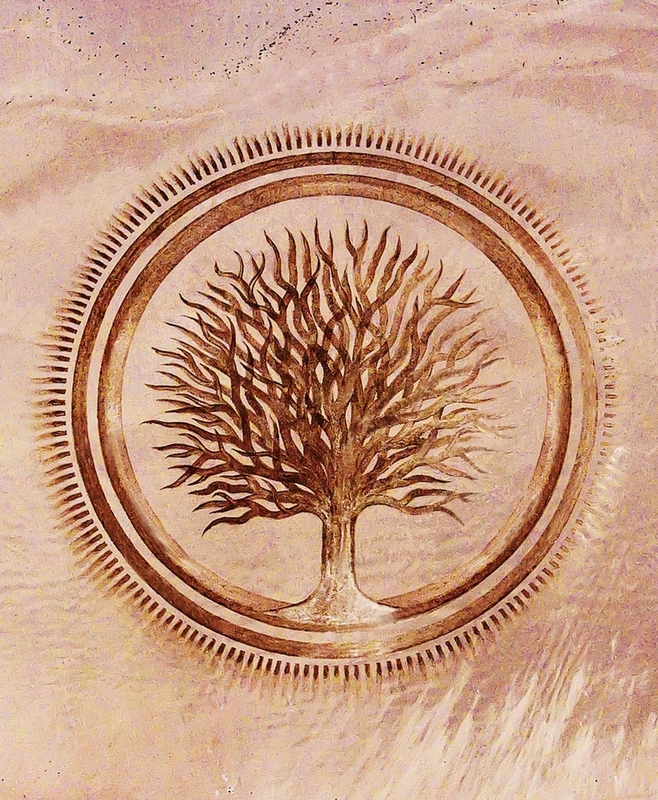 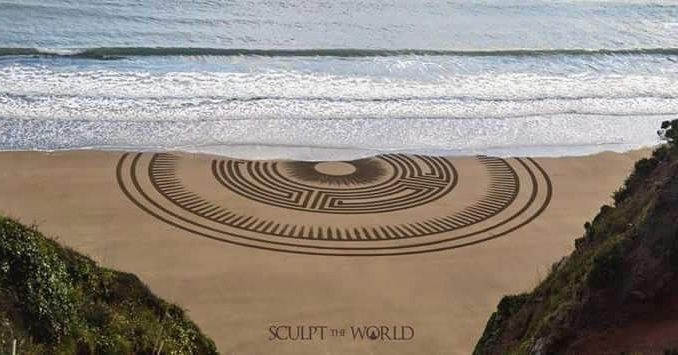 Jon Foreman creates Modern Sculpture and Land Art, the latter is the subject we are going to visit today. 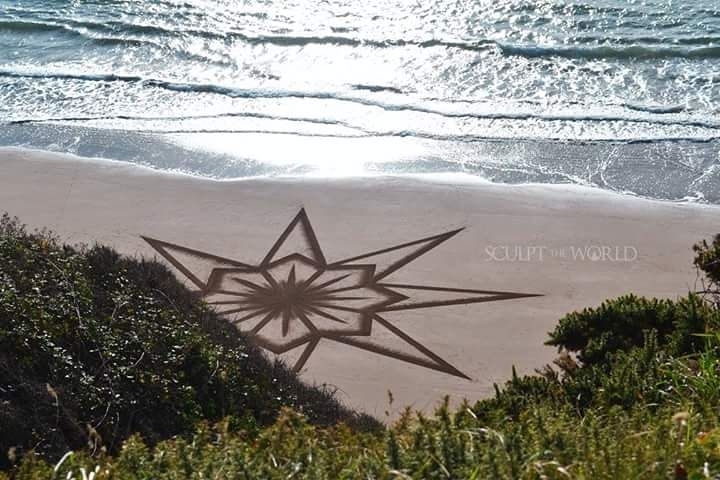 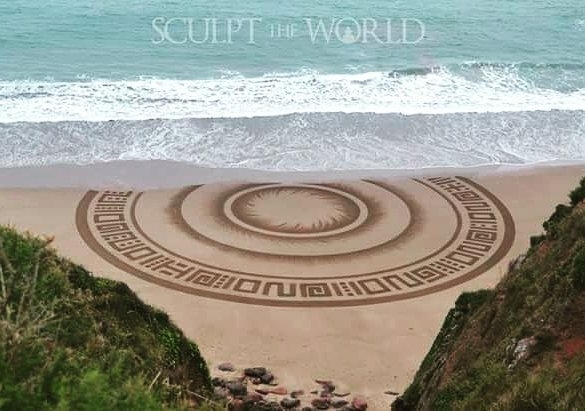 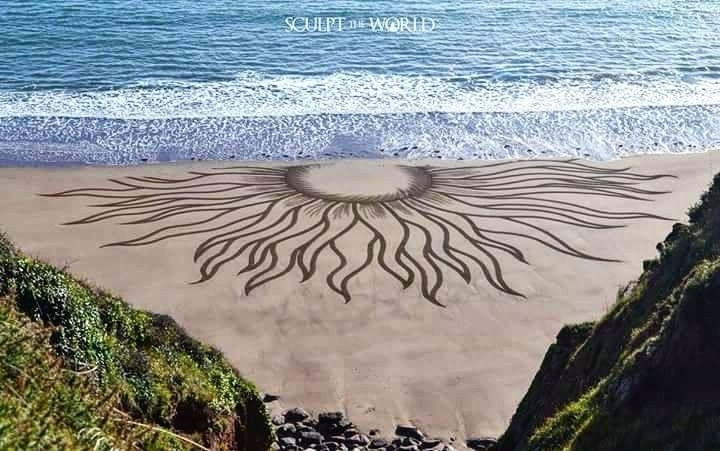 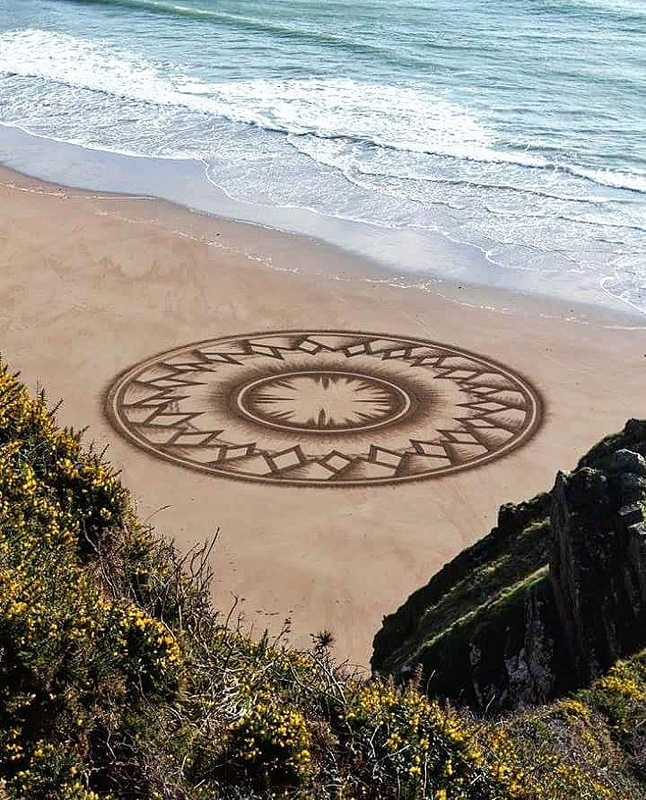 He uses his local beaches in Pembrokeshire, Wales, UK, to find the creative inspiration and the perfect canvas for his art. 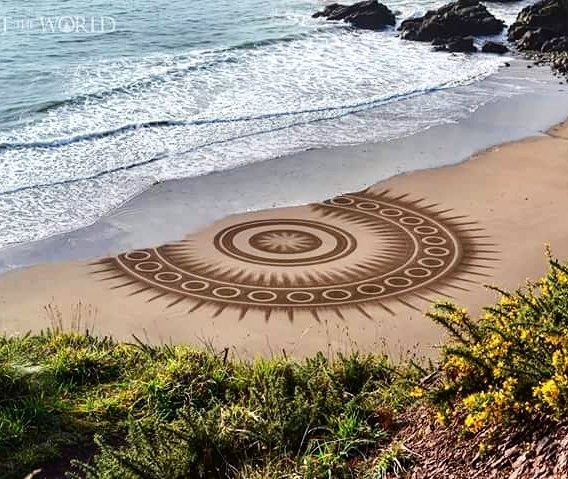 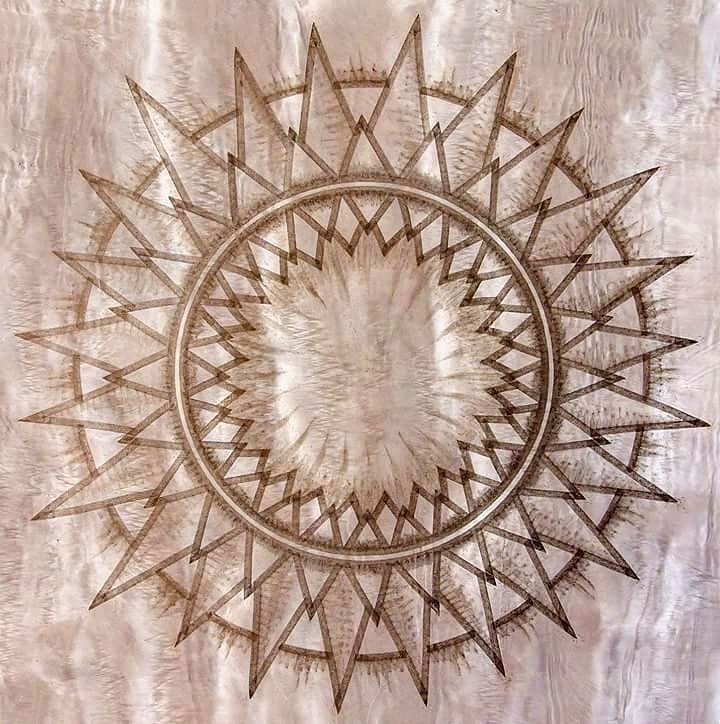 His geometric drawings are so big, that if you we to stand n the middle, or to the the side of them, you wouldn't be able to take the entire sand image in. 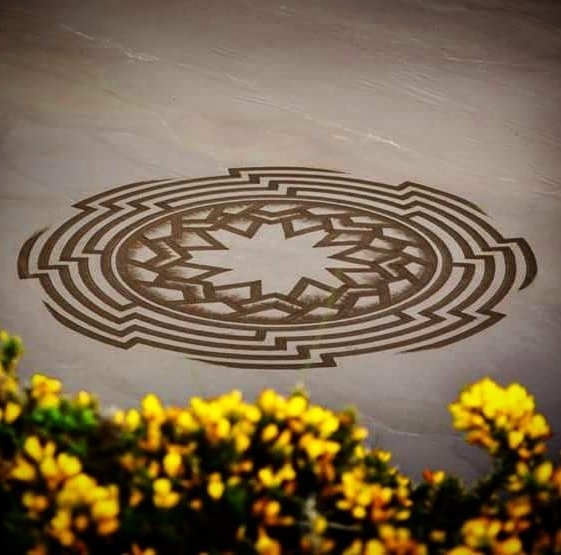 In order to see them you are going to have to go higher vantage point, a bit like the The Nazca Lines in Peru, drawn 1,000s of years ago.